The passage of the Federal Brownfields Revitalization Act and the Massachusetts Brownfields Act, created a new era of economic opportunity for municipalities throughout the Commonwealth. 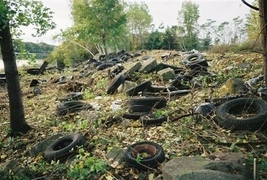 Through creative remedial strategies and a focus upon the reinvestment in local communities, these initiatives and similar programs have provided tremendous opportunities for the resolution of complex environmental issues, while advancing economic, as well as recreational and open space opportunities. The redevelopment of blighted and underutilized property, together with restoration of degraded resource areas are vital interests for many communities today. NCA has participated in numerous state and federal funding assistance projects, including a project designated as a USEPA Showcase Community. We understand the need and challenges associated with the leveraging of all available resources to create the most successful opportunities. Beyond early assessment activities, Brownfields Redevelopment requires the integration of a wide range of technical services in areas such as planning, construction oversight, and remedy implementation. NCA staff have considerable experience with Brownfield redevelopment, including projects in riverfront and waterway areas, and particular expertise in the conversion of former landfills, urban fill areas, and blighted and abandoned industrial land to support multipurpose recreational playing fields and open space opportunities. The multidisciplinary staff at NCA can meet your project needs at each level in the Brownfields redevelopment process including the following areas.